Pikangikum: What does it take to heal a community? 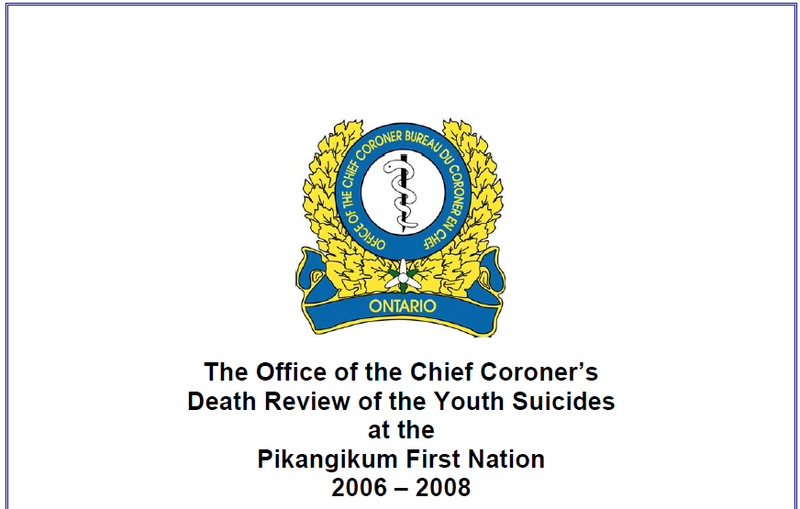 Earlier this year I wrote to the Office of the Chief Coroner of Ontario asking about any follow-up to a 2011 report on a shocking series of youth suicides in the northern First Nation community of Pikangikum. I was pleasantly surprised to learn that the Office had followed up, and some weeks later received from them a copy of that document. My surprise turned to shock: according to the fact-based table that I received, only 1 of the report’s 100 recommendations had been implemented as made. I was just a kid when my best friend’s dad took his own life, upstairs, alone in his bed. I barely knew him. Yet, his death profoundly affected my life. Thirty years on, the family can talk about it, but not publicly in a way that would identify them. It’s still too hard. So we’ll call my friend Tom.